This post by Emily Laurence originally appeared on Well + Good here. Fit-tech startup Peloton is already dominating the fitness game with its tricked-out indoor spin bike and a $1.25 billion valuation. Recently, at its Home Rider Invasion weekend, the company’s co-founder and CEO John Foley said they sell a bike a day in all 50 states, and last month there were over 2.5 million rides taken. 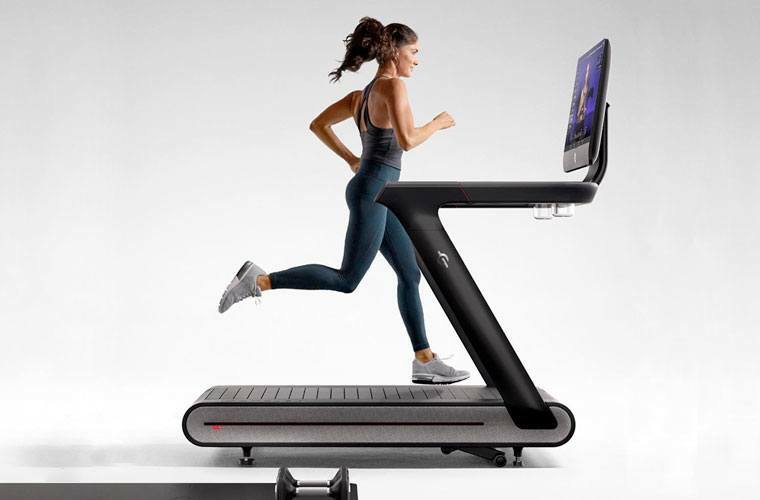 Now, it’s hoping to replicate that success with its new $4,000 treadmill—AKA the Peloton Tread. In the meantime, the company opened its first Tread studio full of the machines in New York City earlier this month. As someone who loves to run—and a big Mile High Run Club fan (up until now the only treadmill class in the game), I was very curious to give it a test, ahem, run. Below, I reveal all, from the Tread’s features, to the class structure, and how it compares to Mile High and other boutique fitness classes. If you’re considering the investment—or are just shamelessly curious—here’s what you need to know. 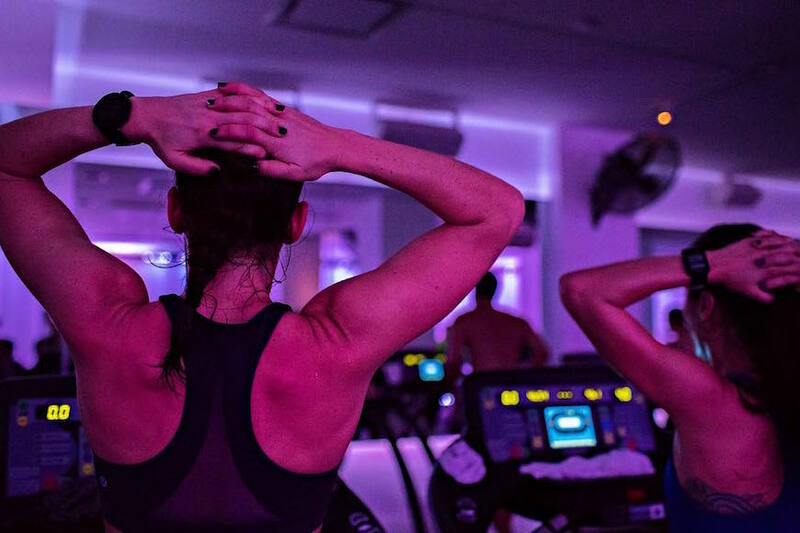 Keep reading to find out what taking a Peloton Tread class is really like. So, what does $4,000 get you? Similar to the bike, the Tread has a high-quality HD screen—the virtual portal to live and pre-recorded classes. At 32-inches, it’s actually bigger than the bike’s. Below the display is a full-length tray (perfect for putting your phone or towel) and a water bottle holder on each side. And under your feet is a shock-absorbing slat belt that feels forgiving, whether you’re wearing foam sneakers or not. If you already own a Peloton bike, you won’t necessarily have to shell out for the Tread to access its classes. 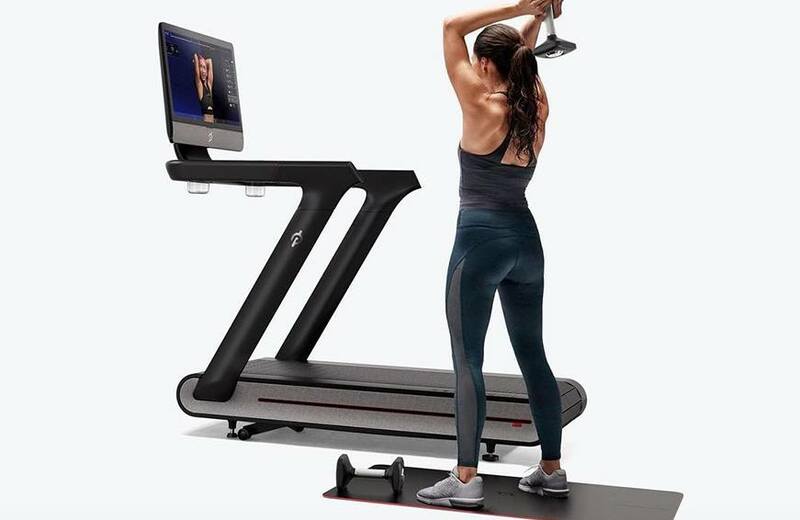 Rolling out this fall, the workouts will be available to stream on your tablet or phone via its app, so you can use your own treadmill and still be part of the workout—or you can stream it to your TV and run along, if it’s in the same room as your treadmill. This cross-training option won’t be available to Tread owners who want to spin, though, sadly. Okay, so that’s the deets on the machine. Now comes the workout. Then, he told the class to turn the speed down to zero (but not to “pause” it or turn it off, so the clock was still running and the data was preserved) and the next roughly 20 minutes were spent on the floor, using either a pair of medium weights or one heavy weight. It’s this part of the class that really made it more than just running. “Tread is more than a treadmill. It’s a portal to a full-body workout,” Foley told me the day before. And he’s right—people aren’t just being coached on what to put the speed and incline on; they’re strength training, too. During the workout, I had no problems with my Tread at all, though when another Well+Good editor went to the very first class for press, her machine malfunctioned—as did half the class’. “We’re still technically in development until the September release,” Foley tells me. It might be similar to a new iPhone release: They tend to work out the bugs a few months in. But in all fairness to the brand, no one in my class at least had a problem with their machine. What sets a Peloton Tread class apart the most is having the leaderboard. While it’s not really relevant during the floor work, it can be a big motivator during your run (if you want it to be; otherwise, you can hide it like you do on the bike). While several spinning studios have leaderboards, there isn’t a leaderboard for treadmill classes or other bootcamp-style workouts. I like to run and get quite competitive about it, so I wasn’t surprised that I enjoyed the class so much. Someone who doesn’t like to run might have a totally different opinion of the class than I do. But there’s one thing that isn’t debatable: When Peloton does something, they do it well. And as for the competition between the Tread studio and similar studios such as Mile High and Barry’s? Well it seems what’s happening on the leaderboard isn’t the only race to watch.